Where Can You Buy Used Double Cab Trucks in Las Vegas? Ok, so you’re looking for a capable vehicle on a budget and you want to know where to buy used double cab trucks in Las Vegas. At Findlay Toyota, we pride ourselves on our inventory of affordable double cab trucks, giving you a spacious cabin that works for family adventures or workday commutes — while also giving you the cargo capabilities you need to get the job done. Learn why buying a used double cab truck is a great idea before you visit our dealership today! Buying a used double cab truck gives you a great discount on a capable vehicle. Double cab configurations can often boost the price of a truck quite a bit due to the impressive space and abilities of the truck — but this is not the case with a pre-owned truck. 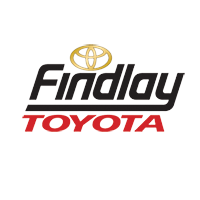 When you buy from a trusted dealer like Findlay Toyota, you have the peace of mind that the truck has passed our inspection to be worthy of resale so that you can leave the lot confident that you made a smart purchase. We pride ourselves on our fair sales of both new and used trucks. We’ll offer you a fair trade-in value on your current vehicle to apply to your purchase so you can buy outright or pay off your vehicle sooner. Our dedicated sales team will work with you on your individual needs to find the right used truck on your budget, and we have a state-of-the-art repair facility to service your truck for years to come by expert technicians. You’ll be treated to first-class treatment as backed by our Toyota President’s Cabin Award we’ve received the last few years–an award only received by up to 12 dealers nationwide annually! You’ll find a vast inventory of pre-owned vehicles t Findlay Toyota including double cab trucks at a great price. Visit our dealership to see what we have in stock at 7733 Eastgate Rd in Henderson and let us help you finance your next truck. You can speak with a sales specialist about any vehicle in our used inventory at (702) 566-2573, We are also available to answer your questions if you leave us a message online!